Just used my new N91 and vpod.tv mobile to upload a quick video of the conference under way now. Just in case you've never read him (you should), he blogs on www.gigaom.com. 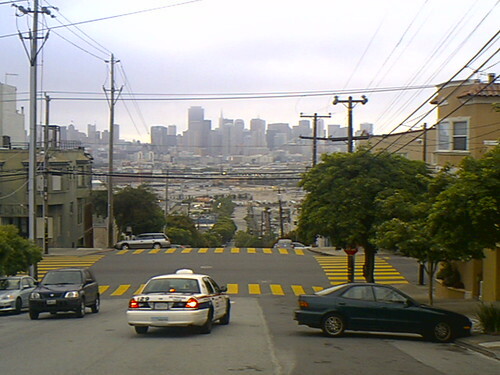 San Francisco skyline, originally uploaded by rsepulveda. I've been uploading a few pictures taken with my Nokia phones (N90, N70 and N91) onto Flickr. 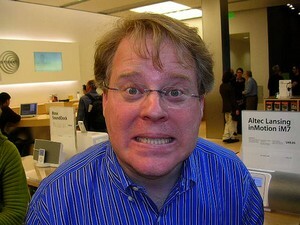 Robert Scoble looked happy to me ! The news is out. Graf über-blogger Robert Scoble von Microsoft is leaving the heimat. I'll probably see him again later today, and I'll ask him on video how he feels. My take is that Robert had a life before Microsoft, and now he's moving over at Podtech. Making the transition from one to the other should come easy to him, but many people will associate him with Seattle for a while. Life's about change, decisions are about making your environment better, so here goes: "well done buddy!". Robert made a decision, we should all support him in his new challenge!